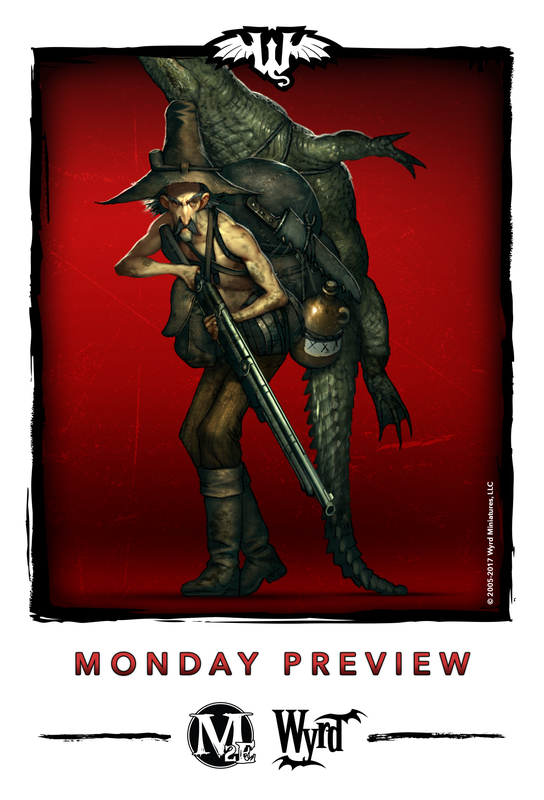 The Guild doesn't tend to look favorably upon trade with the Gremlins of the Bayou, particularly when that trade involves firearms (which make the gremlins more dangerous) or moonshine (which cuts into the profits of the Guild's lucrative alcohol sales). For a Bayou Smuggler the potential profit that can be made by trading firearms, moonshine, bacon, and clothing from one race to another greatly outweighs the risk of getting caught by the Guild. Nice! We definitely need more hillbillies in gremlins. In Mark 3 the faction will be known as "Bayou" or something maybe? 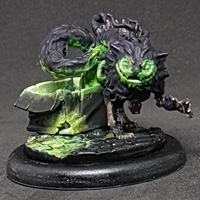 I like the idea some people in malifaux are crazy enough to fit in with the gremlins. That gremlin lady from the flying piglet backstory seems to think so too! Awww poor gator's all tuckered out. I'm glad he has such a good friend to give him a piggy back ride to somewhere safe. Nice! Personally prefer this one over the art in the book, but they're both full of character. I really like it, but I hope the gator on the back is an optional bit. It's a little much. Ah, I like the one in the book better myself. Both nice though. Because Gremlin stuff is never a little to much, right? I have to wonder what his thought process was when he accepted a (hopefully) dead gator in trade. "I dunno what I'm gonna get fer this, but I'm gonna get something!" Not really what I mean. Not sure how to phrase it, but in the end if I could build the mini based on that image without the gator, I'd buy it, but if I can't, I won't be. In the end it won't really affect Wyrd's bottom line since I'd probably just spent that money on a different mini(s) from them. I really should try playing malifuax at some point. Imagine how strong that dude's back is! That gator has got to be a solid 300lbs, minimum. 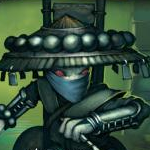 Mind you, I don't know a darn thing about Malifaux gator physiology. As a smuggler, and therefore wanting to avoid detection, a great opportunity was missed by the orientation of the gator...picture it stomach against the guys back, a little breathing tube...could sneak across a river looking like any other gator.